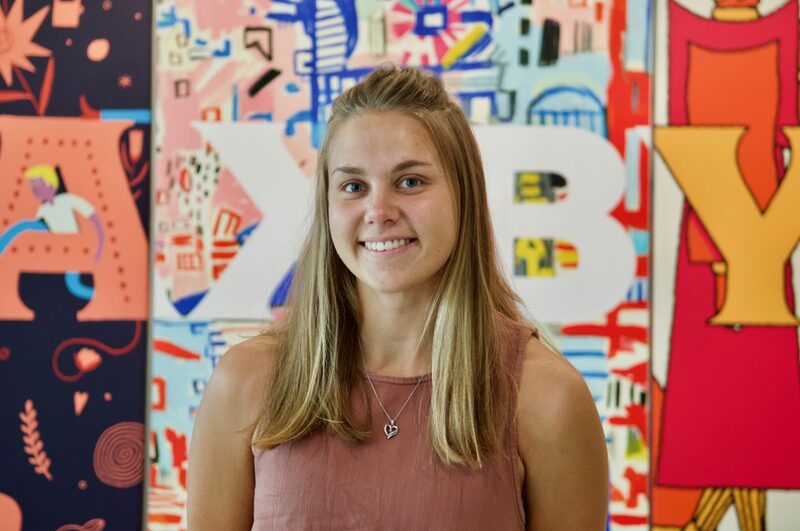 PHILADELPHIA (September 7, 2018)—Emma Schweigert, a senior double majoring in marketing and finance at La Salle University, has been selected as the next Student Café Executive Officer (SCEO) of the on-campus Saxbys. As SCEO, Schweigert is responsible for making decisions on all aspects of the business–including what Saxbys calls the Three Pillars: Team Development, Community Leadership, and Financial Management. Located in Founders’ Hall, home of the La Salle University School of Business, Saxbys is exclusively student-run as part of the company’s pioneering Experiential Learning Program. Schweigert is from Auburn, Pa., and a graduate of Schuylkill Haven Area High School. She is a center fielder for the Explorers Women’s Softball team, and a member of the Business Scholars Co-Op Program. She has a strong history of volunteering on and off campus, with organizations such as Team Up Philly, Face to Face Germantown, La Salle Day of Giving, Out of the Darkness, The National Kidney Foundation, and SKIP Highway Clean up. Every six months, one student will be selected to work as the SCEO of the Saxbys La Salle University Café. This student follows a curriculum of academic coursework concurrent with their tenure as SCEO, receiving tangible, entrepreneurial experience as a supplement to traditional classroom learning. SCEOs leading the cafe earn a full semester of academic credit via a specially-designed credit schedule, tailored by La Salle and Saxbys. Additionally, up to 35 part-time employment opportunities are available for undergraduate students seeking an on-campus job. Schweigert succeeds Kyle McIntosh, ’18, the inaugural SCEO of Saxbys La Salle.